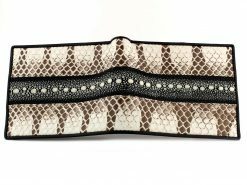 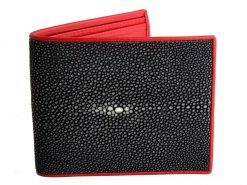 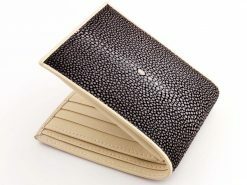 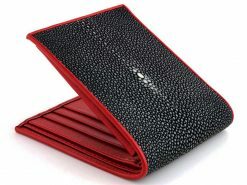 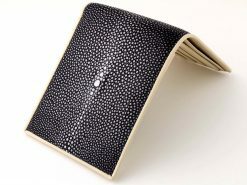 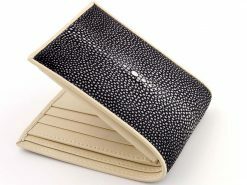 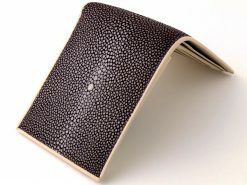 A fine smoothly textured stingray skin wallet in a strawberry red color with a contrasting black ostrich skin interior. 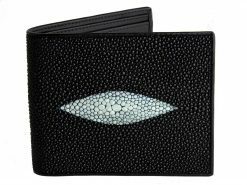 When it comes down to unassuming sophistication the polished stingray wallet is unrivaled. 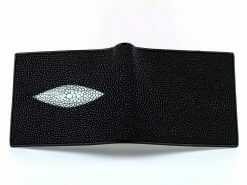 Imagine how perfect the scene is as you pull up a chair at the cocktail bar as you order yourself a Moscow mule and whatever the lady is drinking. 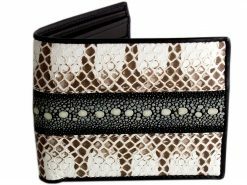 Yes, that lady next to you who you’ve never seen before. 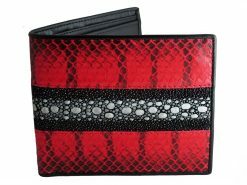 Most women would be appalled by such brashness but as she sees you take out that stunning wallet she senses that your a different kind of guy and just gives you a wink. 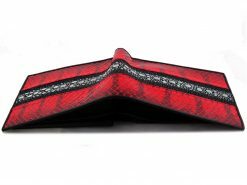 These hugely popular gents wallets really are a refined gent’s wallet.